If you are looking for a corporate caterer in Melbourne, you must find a quality corporate caterer to aid in the success of our corporate event. You will need great food and this will ensure the happiness of your guests as well as ensuring your corporate event is memorable. You will want to decide if you want a sit down style of meal for your guests or a buffet where your guests could serve themselves. “CateringMelbourne.com.au” understands these important decisions and will happily supply servers to your guest. If you are hosting a sit down style of meal, having people, walking around while serving the meal is considered classy. Do keep in mind that corporate caterers in Melbourne will charge slightly higher for servers to walk around while serving the meal at your corporate event. Rest assured that a corporate event with servers will show you as true class and will be a great reflection on your corporation. A buffet style-serving event comes with many great advantages. Your guests can choose what they want to eat while serving themselves. This allows your guest freedom in what they choose to eat. Your guests can also determine how much they want to eat while reducing waste of food. Your cost with buffet catering will be significantly lower as compared to sit-down style of serving. If your budget were low, buffet catering would be a great way to go for your next corporate event. The only disadvantage of buffet catering is that the most popular food will more than likely run out therefore leaving some people not being able to eat the foods of their choice. When looking for a corporate caterer in Melbourne, you will need decide between having servers and buffet catering for your corporate event. “CateringMelbourne.com.au” can recommend sound advice on this very important matter. “CateringMelbourne.com.au” contains the experience needed in making your guests happy during the corporate event. Make sure you inform “CateringMelbourne.com.au” on all-important details before the corporate event. This will leave less room for misunderstandings, which could possibly turn your corporate event from something great to something everyone wants to forget. 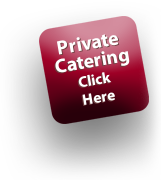 “CateringMelbourne.com.au” provides corporate catering services. Visit our website to view menus or seek advice in planning your next corporate catering event. We can’t wait to plan your next corporate catering with you!